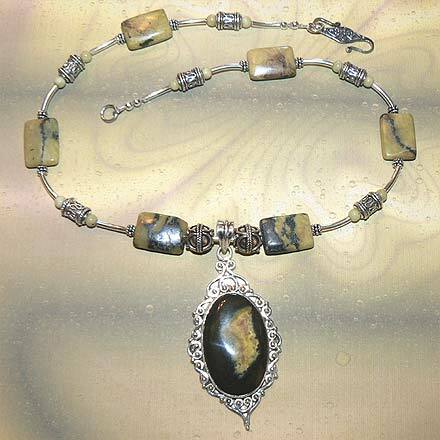 Sterling Silver Serpentine (Yellow Turquoise), Jade with Eclipse Stone Pendant Necklace. See Closeup. 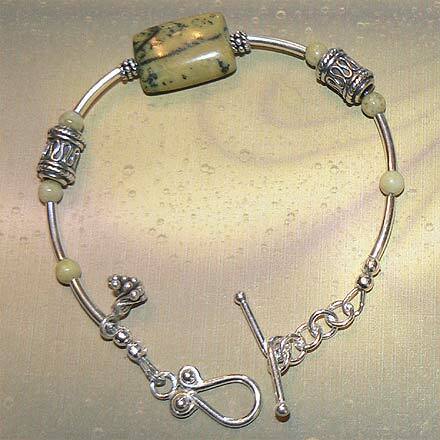 Sterling Silver Serpentine (Yellow Turquoise), Jade with Eclipse Stone Pendant Bracelet. Sometimes you just have no clue what some stones are...this is one of those times. Another in a series of "Mystery Stones," this pretty dark green pendant stone with yellow and orange crystals in the center was called "Eclipse." 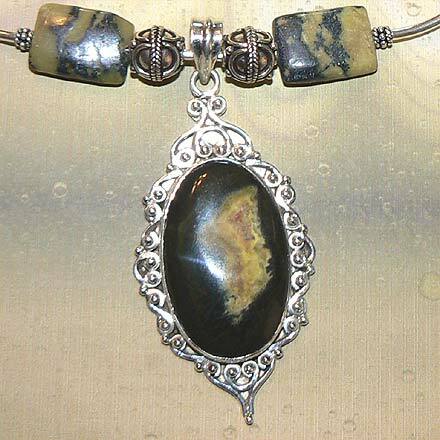 I have no idea what kind of stone "Eclipse" is, but it looks like a silicate like Jasper or Jade. It matched the closest to some rectangular "Yellow Turquoise" beads I have, which actually aren't real turquoise, but a form of Serpentine.